ABBOTSFORD, British Columbia — Dutch pilots will focus more on air-to-air combat skills, which have grown rusty because of the emphasis over the past several years in supporting ground missions, says the head of the Royal Netherlands Air Force. Lt. Gen. Dennis Luyt said both rotary and fighter aircraft pilots have focused on ground missions in Iraq, Afghanistan and Africa, and those operations have contributed to the weakening of air-to-air combat skills. 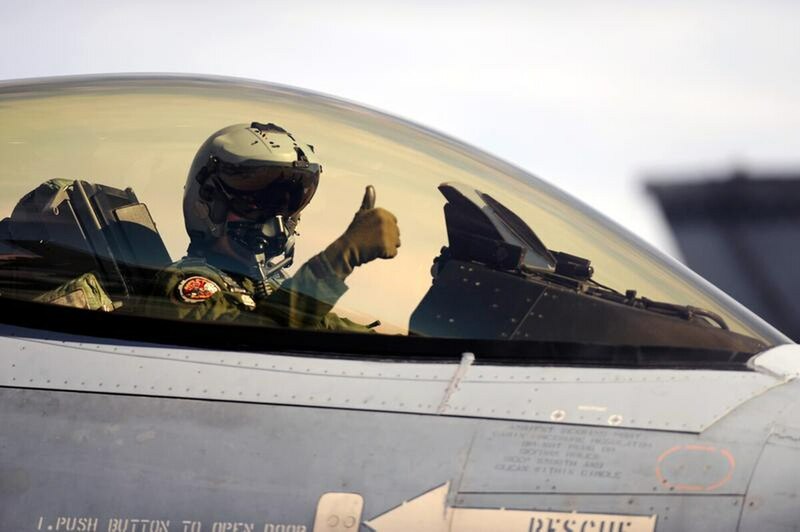 The Royal Netherlands Air Force contributed F-16s to the Iraq mission starting in 2014. The operations involving those planes, which at its peak included six frontline jets with two in reserve, expanded to include Syria in 2016. The aircraft conducted more than 2,000 missions, deploying over 1,800 weapons. The F-16s, which operated from Jordan, returned to Holland midsummer 2016. The Royal Netherlands Air Force also contributed to the United Nations mission in Mali since 2014, with four Apache helicopters and three CH-47D Chinook transport helicopters. The Apaches returned to the Netherlands late December 2016, and the Chinooks left Mali in March 2017. Luyt said taking a break from the Iraq and Mali missions was not only needed to conduct maintenance on the aircraft but to provide a rest from such deployments for aircrews. In March and April, the Dutch hosted exercise Frisian Flag, one of the largest international flying exercises in Europe involving various NATO allies. Other exercises are planned in Europe. “There is a very well-tailored program to restore combat readiness,” Luyt noted. But he predicted that air crews will be back in the Middle East in the near future. It is expect that Dutch F-16s will start operations against Islamic state forces in early 2018, but Luyt pointed out that a political decision still has to be taken on that deployment. He said he expects Dutch rotary aircraft to be back in Africa by 2019. Luyt also noted the Royal Netherlands Air Force is laying the groundwork to transition from its F-16s to the F-35. He said the F-16 has been used nonstop for the past 25 years. “That’s a track record for a Dutch weapon system,” Luyt said.